Gardening can be a fun hobby, a way to save (and make) money, and an important life skill. It’s also an important way to interact with the natural world, especially considering more and more time is spent indoors interacting with technology. If you want to get your kids out enjoying and learning in the dirt, then these tips will help you out. To get kids into the habit of gardening, you need to make it fun. Treat gardening almost like playtime and let them experiment with their little plots of dirt. Once they have been at it for a couple of weeks, then you can start teaching them more complicated and regimented gardening skills. If you only undertake a gardening project for part of the year, then your kids may forget most of the skills learned once the season ends. It may also be difficult to motivate them to get back in the garden. Consider year-round planting to create a yearround-harvest. Herbs are one of the easiest plants to grow and pretty hard to stuff up. They can also handle a variety of weather conditions. Therefore, it's recommended you chose some to start off with, such as basil and rosemary. You want to assure your kids’ first growing endeavors turn out successful so that they stick to it. For more advice on which plants are easy to grow, check out mygardeningnetwork.com. You want your kids to feel in control of their own garden rather than merely playing a part in an adult’s garden. They should help create ideas for what should be in the garden, should play a big part in the construction, and should be responsible for ongoing maintenance. Don’t do all the work for them. If your kids’ plant seeds and then have nothing much to see until they sprout, boredom can quickly set in. Give them something to do in the meantime, such as a sunflower to water. This will get them back in the garden every day and prevent them from losing interest. 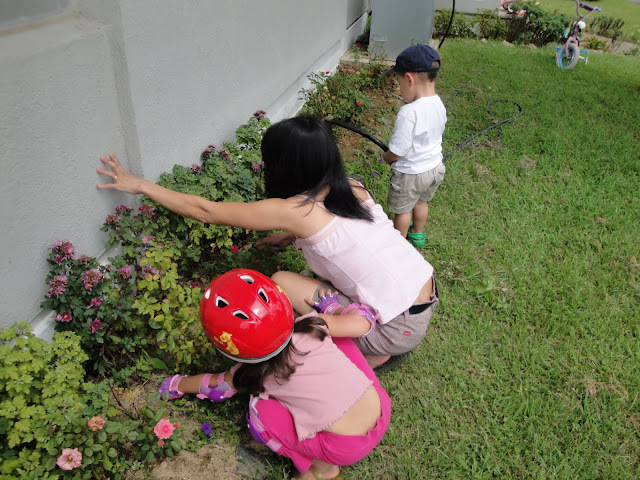 A good way to create a bond between your kids and their garden is to let them pick their own plants or flowers. Similar to picking a pet, this will give them a lifeform that is theirs to look after. This will also help foster the feeling of ownership even more. If you don’t have a yard, then you can still grow. Many plants can grow in large pots placed on a veranda, porch, or windowsill. Plastic containers can also be used. You should still be able to grow plants such as tomatoes, greens, and herbs. Gardening is a great past time that kids are likely to love once they are eased into it. Now is the time to assign some plots of lands and get the kids growing their own plant life. Just remember to make it fun for the children and slowly build up their gardening confidence. My husband just started a garden for the first time last summer. We are looking forward to doing it again this year. my husband is hoping to start a garden for the first time this upcoming summer and i cant wait to include our kids in it as well- im not the best gardener but i def would love to learn more w/ your helpful article. My daughter is better at growing things than I am. I have a black thumb. We currently do not have a garden because of this. But if she wanted to start one, I'd be fine with it! My daughter would love this. I think this may be her project this Spring plant something and take care of it. I need to do this for myself LOL. I am not the best gardener it would be nice to be successful at least on one item. These are some great tips though. I am looking forward to having my own vegetable garden. Gardening is one of those things I love to do for relaxation. The perks are beautiful landscaping and fresh vegetables. These tips will help kids to enjoy and appreciate gardening. We always had our kids out helping get the soil ready for planting. Helping to start seeds and transplant them into the garden. Teach them by example. When my son was little we did a Flower Garden in pots because we lived inside a apartment. I took him to a Gardening Store to pick out flowers and he let them know he only wanted Pink Flowers he could plant in memory of his sister. It was the most beautiful Garden ever. I need these tips for me. We tried to plan a family garden and failed miserably! I adore gardening. My husband does all the work and I get to do the fun stuff! I love to plant and pick, he loves to keep it neat and to water! Gardening is so enjoyable! I love that your kids are so involved with your garden. Oh gosh your kids look so small here!! I love when kids help with the gardening, it gives them a real sense of accomplishment! 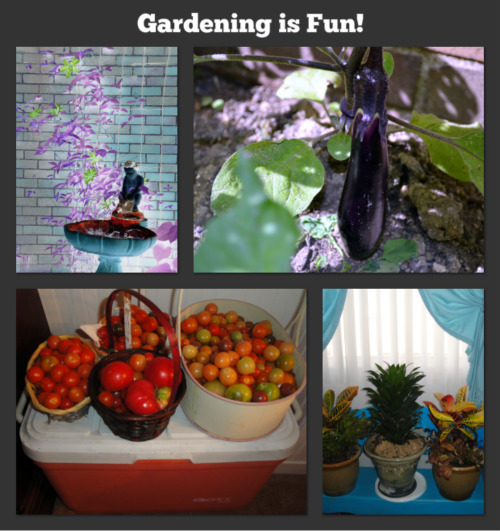 Your gardening looks great! The kids seem to be really into it! Nice way to spend some quality time outdoors while getting something good to eat out of your efforts. My kids adore gardening! We have done it for so long now. Last year we tried and the bunnies got in - somehow - and nibbled everything to the ground! We were okay with it, becuase newborn bunnies need to eat too! My son really loves helping with the general yard work and clipping of branches. I want to get him in to the planting and gardening part this Spring. Look at them! They love gardening! So cute! This would be the best activity that they learn more about in gardening.